There are certain qualities that are vital to any marriage. Sure, you love one another, but each person has to do their part to keep the fire going. And it takes a lot of hard work. 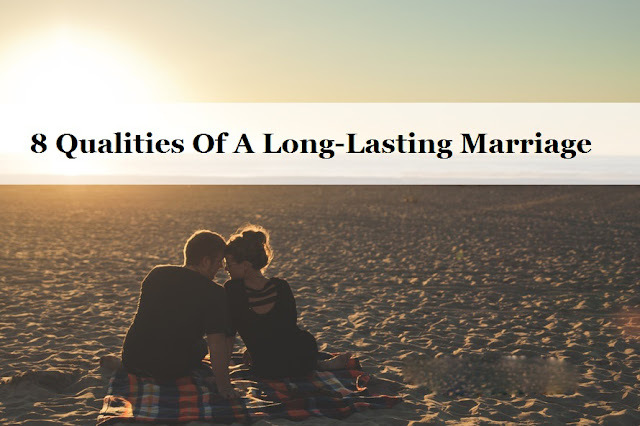 This list contains nothing that you don’t already know, but are all good reminders married to focus on the things that really matter in a relationship. Check out the list below and let it be an encouraging reminder to keep it up! 1. You are open with each other. A good relationship is always predicated on communication. If you and your partner can be vulnerable and open with one another -no matter the difficulty of the season- the relationship will always be stronger. The ideal partner connects with their spouse on an intellectual, emotional and intuitive level. When all of these things fall in line, you respect one another on a much deeper and more substantial level. The empathy and understanding that comes from this approach is vital to any relationship. 3. You work at love. A good partner knows that love takes work. It isn’t something that just springs out of the ground. A busy life can lend itself to a stagnant relationship… make sure and take the time to work on it! 5. You practice active listening. Active listening means responding to your spouse when they have something to say. conversation that makes all the difference. Feeling truly heard is vital to any relationship. emotional or physical it is the building block of a relationship that will last a lifetime. those moments come the ability to meet in the middle is essential. 9. Respect their independence, and have your own. Maintaining individuality is critical to establishing a long-lasting, healthy relationship.